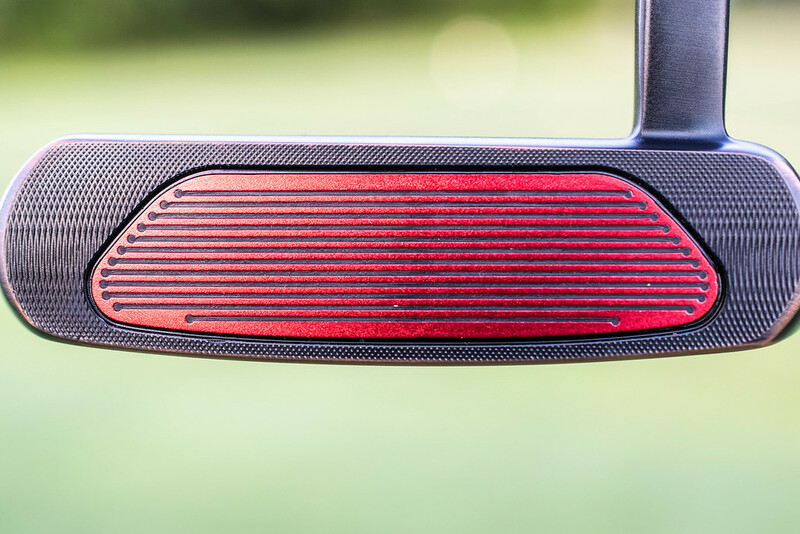 In 2017, TaylorMade had perhaps the most talked about putter model on the market with the Red and Black Spider Tour putters. It helped that they couldn’t be unnoticed when seen on TV and it just so happened the number one player in the world had one in his bag, creating even more exposure. While those models continue to be successful, they aren’t for everyone and recognizing that is why TaylorMade positions the Tour Preferred putter line as the classic shape flat stick while incorporating the Pure Roll insert. Moving forward to the Florida swing portion of the 2018 PGA Tour Schedule, the world saw Rory McIlroy pick up his first PGA Tour victory in more than a year at Arnold Palmer’s Bay Hill with a new TaylorMade putter, one that had yet to be released. This one was black but had some other hues to it and most noticeably was the use of a red insert. 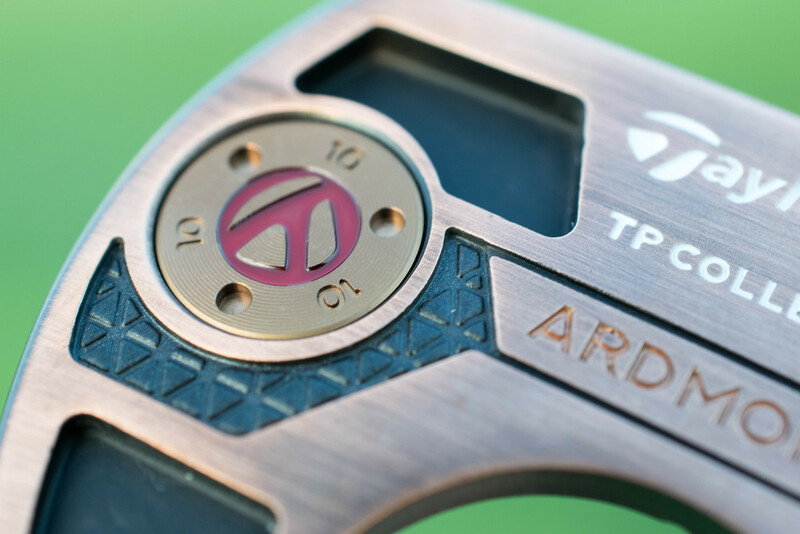 Shortly after in April, TaylorMade released the TP Black Copper putters in four different shapes, which includes the model THP has gotten to spend quite a bit of time with, the Ardmore 3. Separating itself from TaylorMade’s recent signature red putter color, the TP Black Copper model sports a much different finish, and it is, for lack of a better term, stunning. Matte black was a look that golfers became accustomed to with drivers as it played a significant role in reducing glare. On these putters, the darker flat finish sits over the top of a copper tone, which allows this putter to have more of an antique presence. Over time, mostly on the sole, the finish will wear revealing more of the copper that acts as a border accent color against the polished black chrome. 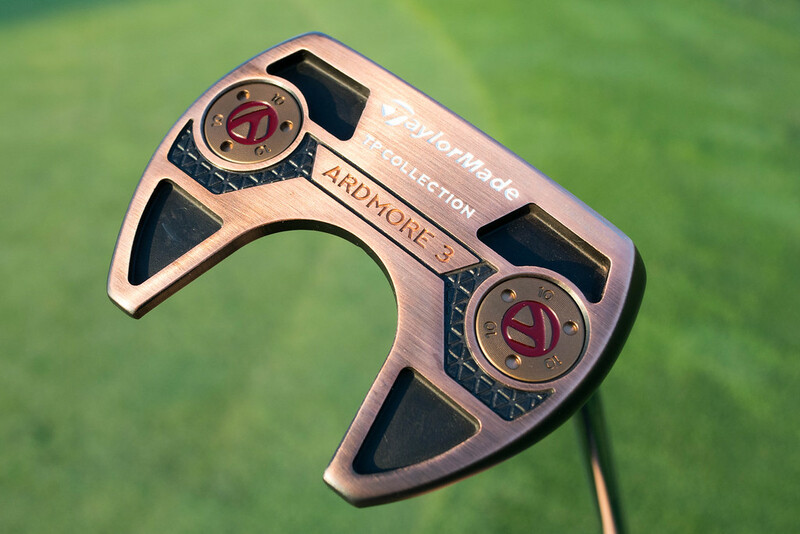 According to Taylormade, the Ardmore 3 is a modern shaped-mallet. To many golf fans, this look is reminiscent of a popular offering from another brand, which is a pretty simplistic view. Last year the Ardmore was released, which carried with it a full mallet shape with an extended flange. For the Ardmore 3, the rear center section of that flange has been removed, pushing more weight to the rear wing portions, which helps increase MOI. Paired with an L-neck hosel, this mallet has a mere 12?of toe hang, meaning the putter will pair up nicely for someone with a slightly arcing stroke. On the flange is a wide, white sight line which against the black offers a great visual when it comes to aligning the ball on the proper target line. Coming from the Spider Tour putter, there was an instant comfort with the way the ball comes off the Pure Roll insert. There is a difference though between the Pure Roll insert here and the one in the Spider Tour, as the Spider Tour, except the Tour Black, has a Surlyn covered insert, which makes a more muted sound and produces a soft feel. On the TP Black Copper, the Pure Roll insert has an aluminum cover to it, which gives it a sound that has a hint of a metallic plink, which leads to a feeling that is more on the firm side. As someone who has played multiple TaylorMade putters in the past, this insert brings back memories of the AGSI insert that was found in the old Rossa putters. Personally, it brings back some fond memories in that department, but when putting side by side with the red Spider Tour, the difference in feel is pretty evident. There is a similar aspect to the Pure Roll inserts though, and that is the roll. With a lot of putter companies focusing on face technology that puts forth a true and quick roll, the Pure Roll putter does just that. On the course, there was one thing that did not jive with my putting stroke, and that was the weight. Even though this Ardmore 3 head weighs in at 350 grams, it still felt as if it was a little on the lite side. Putters are probably the most personal choice a golfer can make and with this feeling a bit light in the hands it lead to some less than confident putting on those mid-range putts. 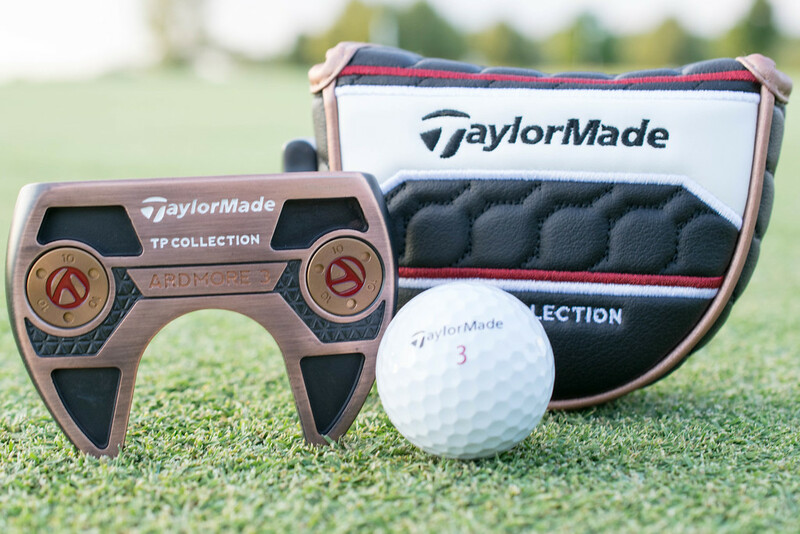 On the bright side, all members of the TP Black Copper family have two weight ports in the sole, and additional weights can be purchased directly from TaylorMade, which means users can help dial in the weight to what they feel is best for them. At this point, you are probably surprised that you have gotten this far into the article without mention of you know who. Yes, Tiger Woods has switched to a variation of the Ardmore 3, only his has a slant neck on it as opposed to the L-neck on the retail model. But just like the exposure that Jason Day and Dustin Johnson did for the Spider Tour, the fact that Tiger has switched to the Ardmore 3 has brought a lot of attention to this lineup, and more importantly this model. Honestly, it is a shape that golfers should be familiar with, a mallet that offers a bit more stability to go along with an insert that helps produce a quick roll and consistent speed control. In the end, the TP Black Copper putters provide golfers more classic shapes as an alternative to the mallets in the Spider line. Both lines have proven to be incredibly enjoyable options to occupy the putter spot in the bag. All four TP Black Copper putters carry with them a price tag of $219. More information is available at www.taylormadegolf.com. I actually like the looks of that putter a lot including the copper/black finish and the shape of it. Great review. love the looks, love the finish and the overall shape. 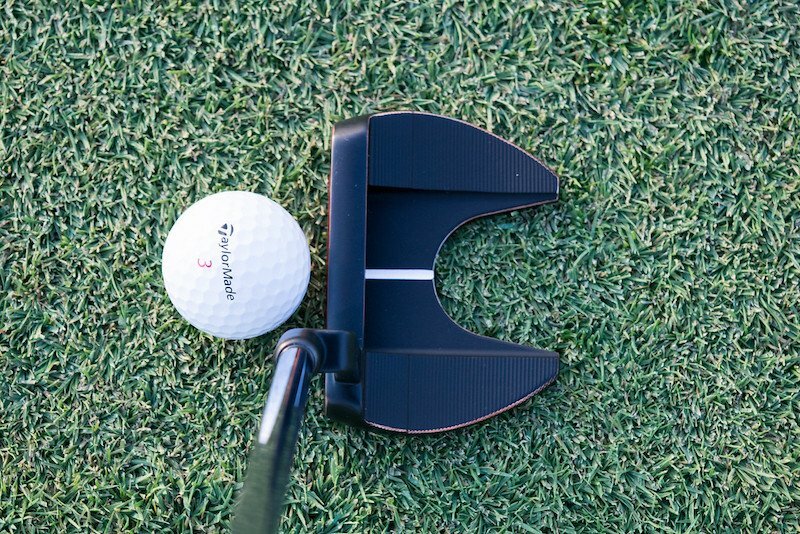 its a great looking putter. I just don’t love the insert. Just added one to the bag yesterday. Nice review Dean!